Did you recently hear of the death of Joel Goldsmith? Did you also wonder who he was? Joel Goldsmith was born November 19, 1957, in Los Angeles, California. This oldest of six children was born into a musical family. He is best known for his work on Star Wars, Stargate, Stargate Atlantis and other popular science fiction films. He also began scoring for video games, including Call of Duty 3. Some of the television shows he composed for include The Untouchables, Hawkeye, The Outer Limits, Diagnosis Murder, Helen of Troy and Haunting Sarah. He lived in Hidden Hills, California where he had a superior home studio. 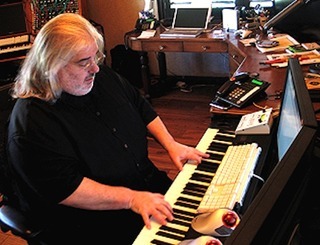 During his career, he mainly collaborated with Neal Acree and his father, Jerry Goldsmith. He died at the age of fifty-four on April 29, 2012, of cancer.